B-Town’s darling girl – Kiara Advani, after making an impressive debut in Tollywood last year with Bharat Ane Nenu, is now all set with her second outing in South - Vinaya Vidheya Rama. Kiara has already made her presence felt in the power-packed trailer of the film, and now the Lust Stories actress is grabbing eyeballs with her fantastic dance moves in the songs of the film, which are breaking the internet. 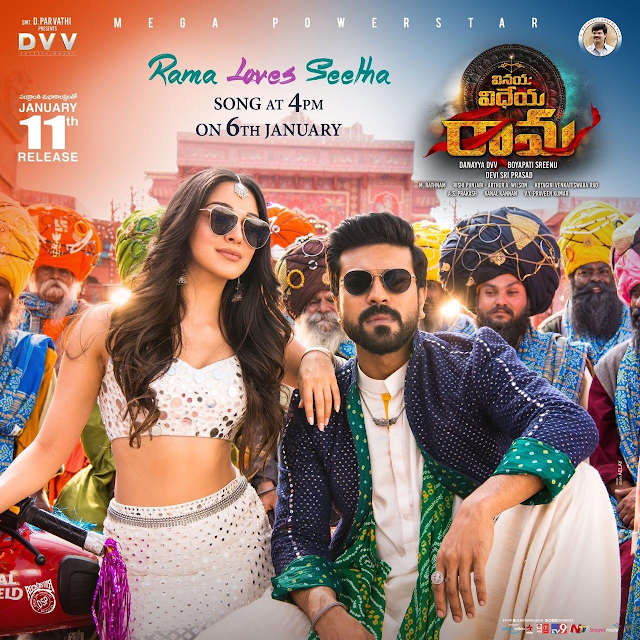 Featuring Ram Charan and Kiara Advani, ‘Rama Loves Seetha’ is not only Vinaya Vidheya Rama’s ace track but is also touted to be one of biggest massy numbers one will get to witness on-screen in 2019. Choreographed by Prem master, the man behind the rocking dance moves in Baahubali songs, ‘Rama Loves Seetha’ is a massive song featuring about 800 dancers. The whole song has a folk culture feel to it and Kiara will be seen in beautiful ethnic wear designed by Nishka Lulla in the song. Interestingly, Kiara has not only learnt her steps on the spot during the filming of the song, but has also matched steps with Ram Charan, who is considered to be one of the best dancers in the South. Needless to say, Kiara will be setting the screen on fire with her jaw-dropping dancing skills. Vinaya Vidheya Rama is slated to release on January 11, 2019.